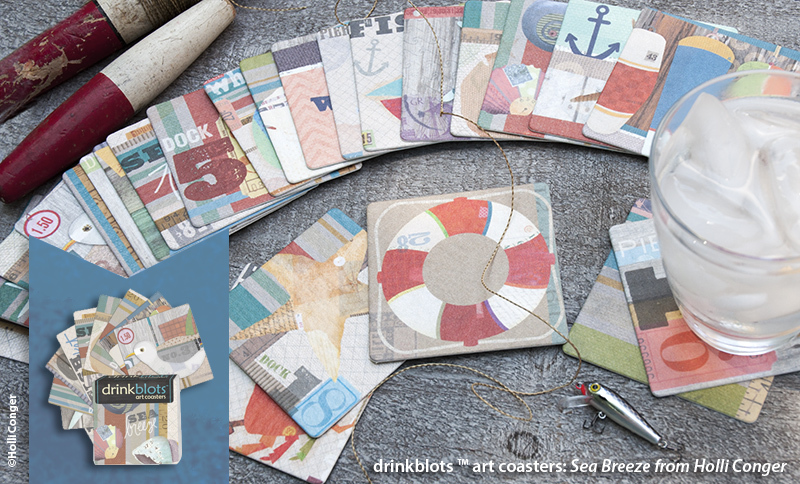 Just in time for the summer sea breeze, I have some new coastal themed coasters out by the fabulous studio m. They are reusable, recyclable and there are 24 different designs. If you are a retailer, you can find a rep near you. If you are an individual, you can buy the, online here. I also have some Christmas ones out that I’ll be posting about in the future, but you can take a peak here.